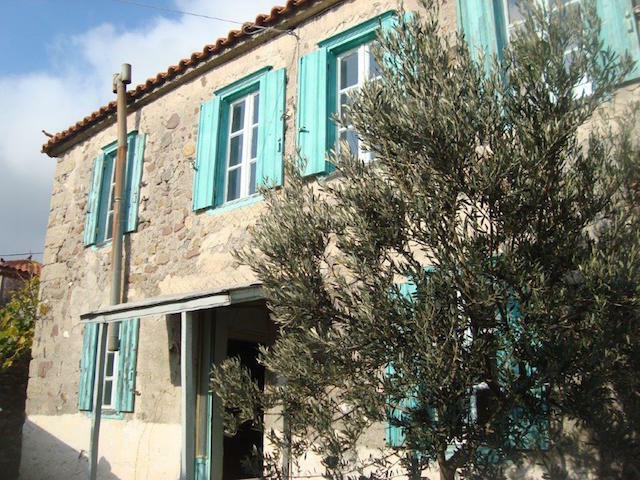 Situated in the heart of the village, this typical Eressian two-storey, stone-built house requires a little restoration work..but not much! It's actually in good condition and wouldn't require too much effort to get it modernised. There are some lovely features, particularly the original wooden flooring and doors; get your sander out on these and they'll come up a treat. Once completed the house would be ideal as a home or as a holiday rental. There is a good sized outdoor space with a further building. The work that requires doing is very much reflected in the price of this property. If you're after a doer-upper then this may be the house for you. The house itself is solid, the stone work is in great condition and there's a new roof too. Situated at the edge of the village yet just a few minutes walk from all the local amenities which are open year-round. There is ample parking just a few metres away from the house. Double gates lead you into a private courtyard area. KITCHEN: Built-in cupboards give plenty of storage. Good sized workspace. There is plenty of scope to make a great kitchen/entertaining area. LIVING AREA: There is a large, open fireplace in this room, it's a room that floods with natural light. The flooring in here is concrete with wide, wooden boards to the ceiling. A lovely wooden staircase takes you on to the second floor with two bedrooms. In between the two rooms is an open area with window, ideal as an office space. BEDROOM ONE: Good size space with two large windows making it very light. There is a built-in wooden bench. There are wide, wooden floorboards throughout the second floor which are in very good condition. The in-built cupboards and double doors are lovely features of both bedrooms. BEDROOM TWO: Very similar in size to the first bedroom it is also a very light space. 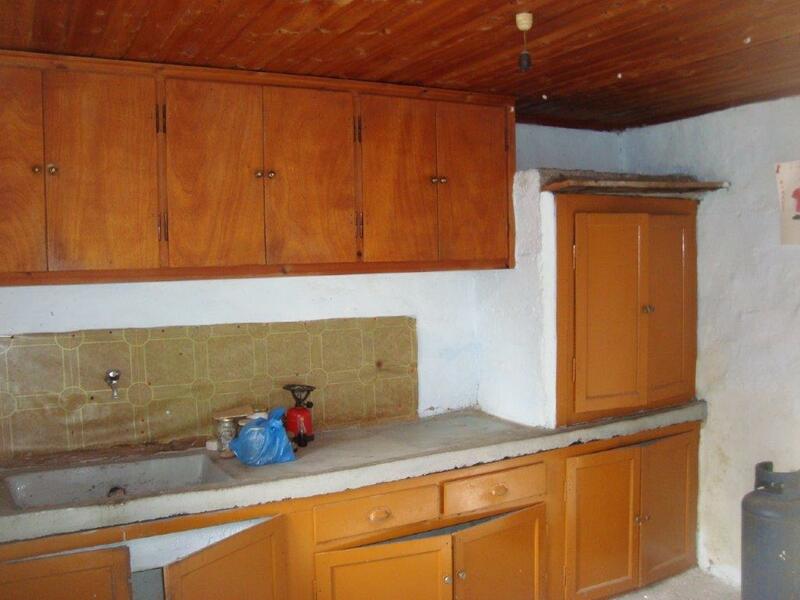 Again, lovely in-built, original cupboards and beautiful flooring. OUTSIDE: There is a small building attached to the house which previously housed a kitchen and a bathroom. This structure requires some work but offers valuable space. It would be possible to re-open some upstairs windows and build a terrace out on to the top of this building which would give really magnificent views. The courtyard is a very private space, it's a blank canvas at the moment but has much potential.